5. Winning or losing – Mirza's got attitude, in fact loads of it. and yes the article written by that investment banker was crap.. she needs experience.. thats it.. and little less errors.. if the 50 errors and 50 winners could change to 80 winners and 20 errors.. the sharapovas and davenports would have to run for life..
website. It contains must-have info about Chronic Back Pain. 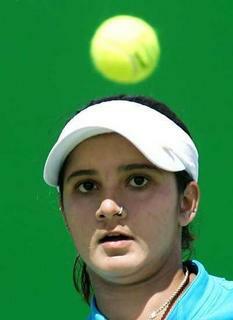 Sania's Profile in Bob Brett's Academy..